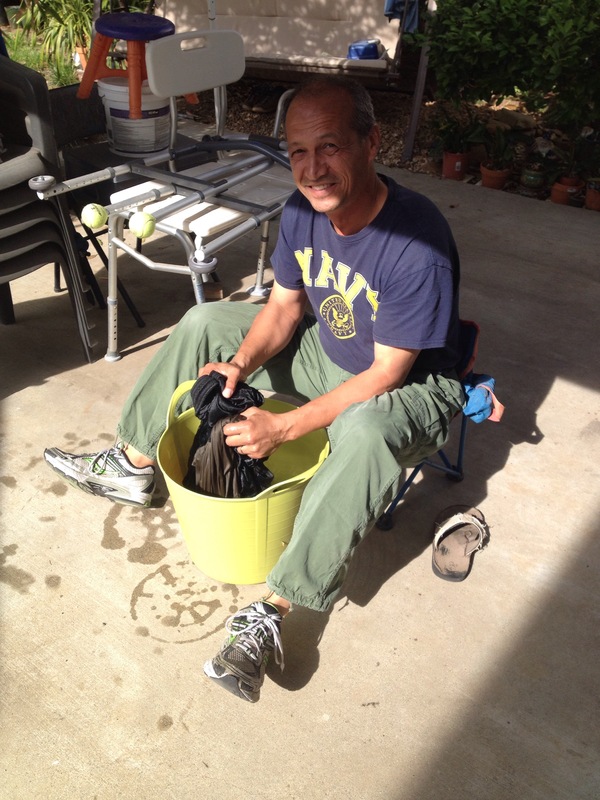 My wife still laughs at me when I wash my running cloths. Maybe its the Filipino in me, maybe I’m cheap or maybe I feel it’s a waste to run a washer and dryer just for a few running shirts, shorts and socks. Honest truth is maybe I’m cheap I hate to buy running cloths, they cost so much and I’ve yet to find a company that is willing to sponcer a slow running old man. I wash all my cloths every weekend by hand in woollite. I read that machine washing with regular detergents like Tide and Fabric softener severely shorten the life of your sports ware. I really don’t mind hand washing though it’s a kind of therapy nam-yo-ho-renga-Keo….. This entry was posted in Running, Sports and tagged run, running, running cloths, washing cloths. Bookmark the permalink. That’s awesome! Hey, do what works for you. ha ha ha…. I think windows are easier than hand-washing laundry! Add a little bit of white vinegar to kill any lingering aromas. Works like a charm.